Believe it or not, there is more to September than Back to School. 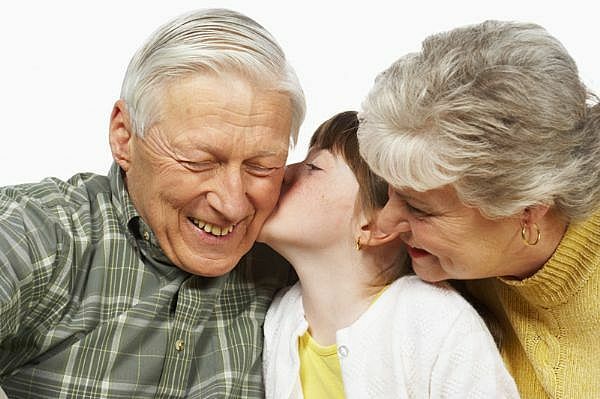 There's National Grandparents Day on Sunday, September 12th. For those of you with roots in the UK, the official day there is October 3rd - and we've got a few green suggestions for celebrating it. As with many holidays, Grandparent's Day began in the U.S. It was first proclaimed in 1978 by President Jimmy Carter at the instigation of a housewife from West Virginia, Marian McQuade. It was designated an official day by our own House of Commons in 1995. Celebrate Grandparents Day with a memorable green gift like an organic viola garden-in-a-bag the grandkids can personalize with colouring and a message. Then grandma or grandpa can grow some flowers on a windowsill indoors at any time of year - everything they need to do so is in the bag! If you're thinking of taking flowers, pick up a recyclable plastic vase. It's unbreakable, folds flat for storage and is ideal for nursing homes or hospitals. Alternatively, ask the kids to make their own family tree picture. It's fun for them to do and certain to become a treasured gift. For more greener gift ideas, visit online eco boutique Lavish & Lime. If you have any thoughts or ideas about Grandparents Day, please leave a comment below. We'd love to hear from you!